On this woodworking abilities video we construct a diy store made observe noticed for our round noticed. 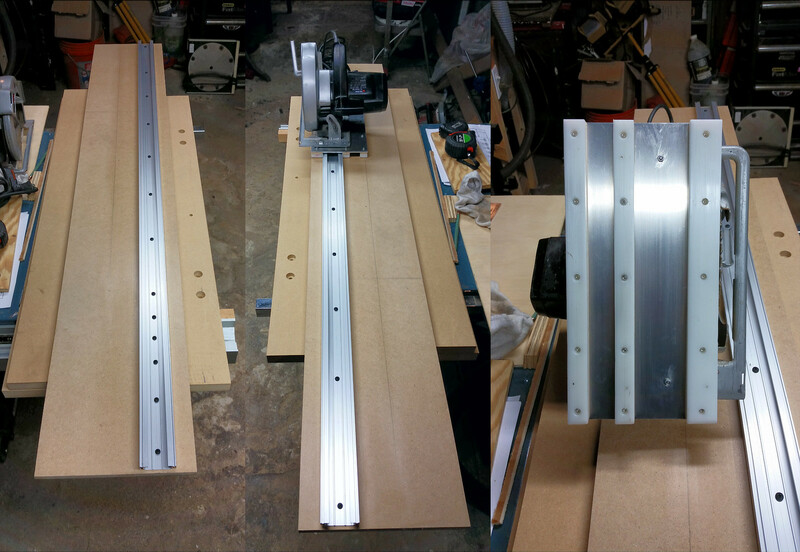 A diy easy observe noticed is a straightforward, low cost and cheap approach to make a should have store jig. Thanks for watching! Please like, remark and subscribe. Cheers! I never thought about the bench hook being used when you only have one line. Good idea! I like your holster on your apron for your 6” sliding square. Is that something you did yourself? Reminds me of Jessie at the Samuri Carpenter. He has a neat shop apron/vest/tool holder. Solid tips, as always. I know you're generally not reviewing tools on here, but how do you like that little Makita circ saw? Right now my circular saw is a super old craftsman that is massive, heavy, and underpowered. I don't know that I care about the replacement for it being cordless, but I'm not opposed either (unless it makes it significantly more $$.) Looking for suggestions for a good saw for a weekend woodworker and general DIY homeowner. Thanks! I must be doing something wrong, have tried to make a few of these in the past. But seems no matte how hard I press against the "fence" mysaw wants to wander or drift away from the "track"
Comments not gripes: I have to use styrofoam sheets (2" minimum) on the garage floor and clamping is MUCH more complicated. This type of jig was the FIRST thing I built when starting out so I could break down plywood/MDF sheets to build my shop. BEST thing to do is MAKE SURE you have clearance for the motor (I didn't on my first one!) and the clamps can have the long end UP. Everything else makes cuts spot on! Oh and the HOOK is a great thing but make sure BOTH ends are clamped. Thought I was done with my home made tracks, clicked on this cause your vids are well done and it's still cold in the shop. Now I have to go out and add cleats to my tracks. Great idea, thank you. I’ve been meaning to build one of these for YEARS. I like the simplicity of this one. Great video! Would it work to rabbet the fence so that the circ saw’s foot rides in it to help avoid tipping? Or would that create more of a binding risk to be worth it? One reason I hated using circular saws, I could not cut straight. I finally made one of these and its great. And you can make them to any length most times with cut off scraps of plywood left over. I like the idea of the stop board, first time I've seen it. Wouldn't the edge that you're butting up against have to be square to the other corner for the cut side to be parallel to the other? Great video as usual. I don't understand why this channel doesn't have 250k subs. One of the most informative channels out there.